5 Swimming pools - 1 in the adults only section and 4 in the Palace Deluxe section (1 of which is also adults only), Casino Nightclub, Teens Club, Pirates Island Water Park, Fitness centre, U Spa with hydrothermal circuit (one per person, per stay), Non-motorised water sports including pedal boats, snorkelling, windsurfing, sailing and catamarans, Windsurfing lessons, diving lessons, glass-bottom boat trips, water-skiing, 18-hole championship golf course, 7 tennis courts and 2 multi-purpose sports courts, Mini-golf, baseball, football, basketball and volleyball, Barcy Kids' Club for kids 3-12 years. All rooms are air-conditioned with balcony or terrace, TV, telephone, WiFi Internet access, mini-bar, tea/coffee maker, safety deposit boxes, hairdryer and iron and board, Superior Room-Beach are located in the Adults only section, with iPod and MP3 connection, 1 king-size bed or 2 double beds, sleeping max 4 adults. 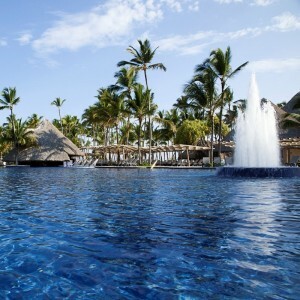 You have chosen Dominican Republic as your preferred holiday destination. 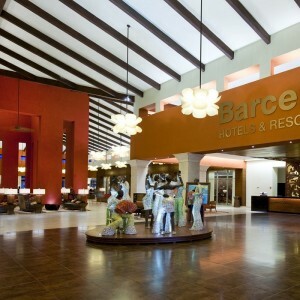 Barceló Bávaro Grand Resort consists of 1,991 luxurious rooms in total with all the services of two hotels, Barceló Bávaro Beach (adults only) and Barceló Bávaro Palace, where most rooms enjoy some form of sea view, with balconies or terrace. 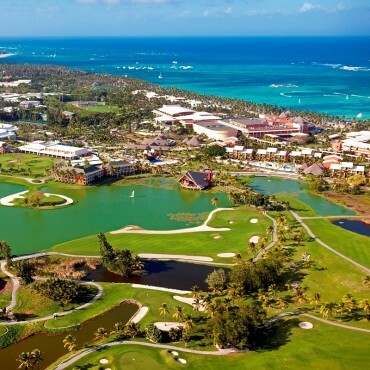 The resort offers 14 specialty restaurants serving a wide array of top-quality international cuisine, along with 16 Bars, a shopping centre, 5 Swimming pools, U Spa with hydrothermal circuit spa, Casino Nightclub. There are innumerable activities, 7 tennis courts and 2 multi-purpose sports courts, Mini-golf, baseball, football, basketball and volleyball, Teens Club with separate nightclub, 24 hour sports bar, Pirates Island Water Park, Barcy Kids' Club for kids 3-12 years is open till Midnight. Non-motorised water sports including pedal boats, snorkelling, windsurfing, sailing and catamarans, windsurfing lessons, diving lessons, glass-bottom boat trips, water-skiing. 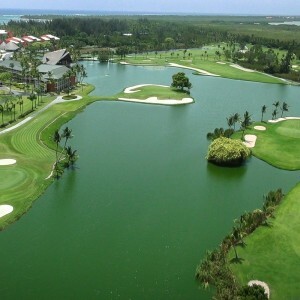 An excellent 18-hole championship golf course the Lakes Barceló Golf Course can be found is just a mere walk away. 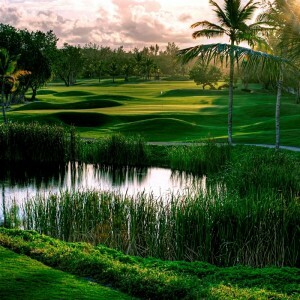 It offer complimentary golf during summer and golf every second night during winter, there is a compulsory buggy charge of £40 per person per round.